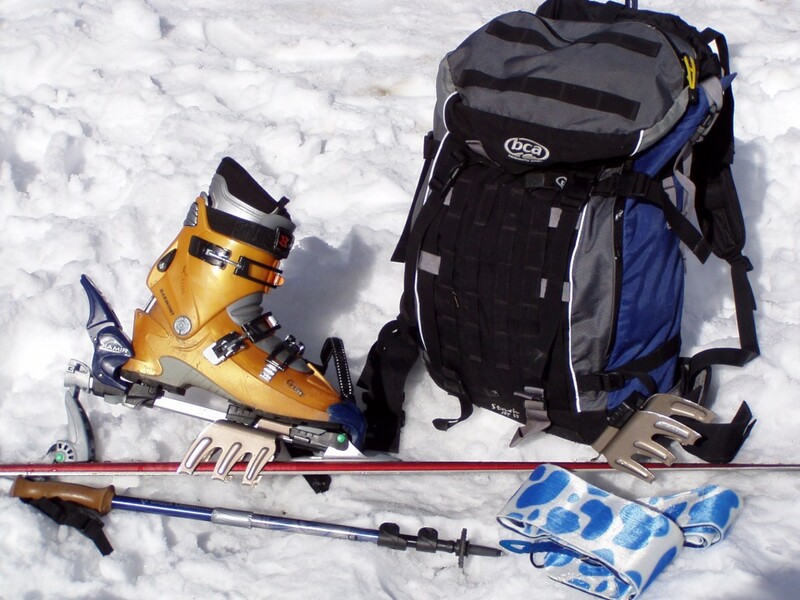 Ski gear: Alpine touring boots, skis with AT bindings, skins, skis crampons, poles. Or same with telemark set up. 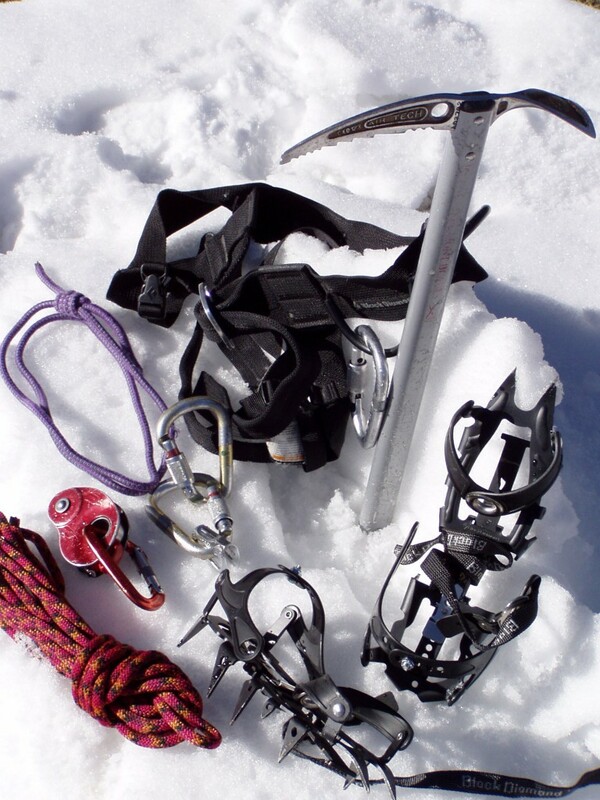 The safety gear include, tranceivers, probe, shovel, harness, ice axe, crampons. You do not need to have much extra maybe one pair of socks and a cotton Tshirt, We can dry things well over night. The lightest pack possible make for an easier tour. Use a light pair of gloves for most uphill and a heavy pair for downhill and stormy days, sun glasses and goggles can be hard to protect, leave them near the top of your pack in a case you need them. Bring a small first aid kit to deal with blisters if needed, have some aspirins and band aid. Do not forget sun cream and lip protection and a base ball cap. The sun can be intense. For clothes use the layering system. In a storm you should have three to four layers on. On the bottom use long Jones, ski pants and Gore-Tex. Some people prefer to use Gore-Tex as day pants, with a good zipper you should be able to vent them well. Top, you need, first a comfort layer, silk or capilene, second a warm layers that breath well but is warm, fleece turtleneck plus fleece jacket. At last the Gore-Tex jacket that protect you well against wind, snow, cold. For Snacks: diversity is the Key, bring what you like to eat. If you decide to tour with a snowboard, please let’s set a meeting time to talk. In the past I tried short skis, snowshoe and split board. I recommend the split board but a high level a proficiency is require. 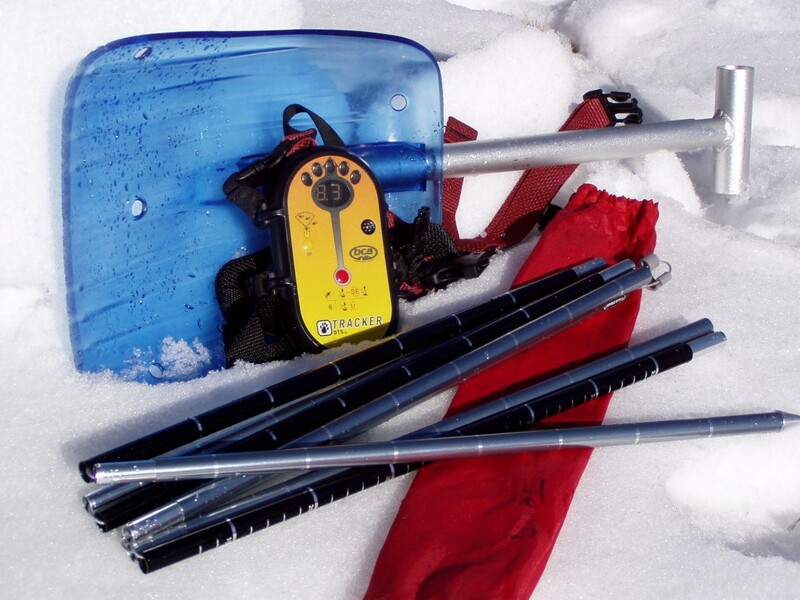 One must be able to handle hard spring snow as well as deep snow. From the previous experiences it is not easy especially with deep snow.